A few months back, I had a meeting with the higher management of one of the Sri Lankan Private Bank. The agenda of the meeting was to discuss project funding as well as another business proposal. I myself and GM Nivethan, we met them and explained everything about our project concept and functionality. Almost instantly we were discouraged by the bank officials for some irrelevant reasons! The reasons they gave were entirely irrelevant with respect to my business concept. I would have accepted their reasons if they were anywhere close to my project concepts. Having said so, they gave a completely different explanation from unacceptable angles. The project concept came from a Vavuniya based company and most importantly we proposed unrivaled innovative world-class start-up concept. The person asking for the fund (Me) doesn’t hold any traditional Degree and yet plans to conduct the business in a professional manner. The third reason is totally unacceptable and most Sri Lankan Tamil entrepreneur’s start-up proposals are rejected for this reason. We let them talk and they said lots, but none the reasons they provided are related to our project concept. Normally, I love people who discourage me and my strength! I take their words seriously and try to work out my weaknesses. My biggest motivation is Just to keep challenging myself! 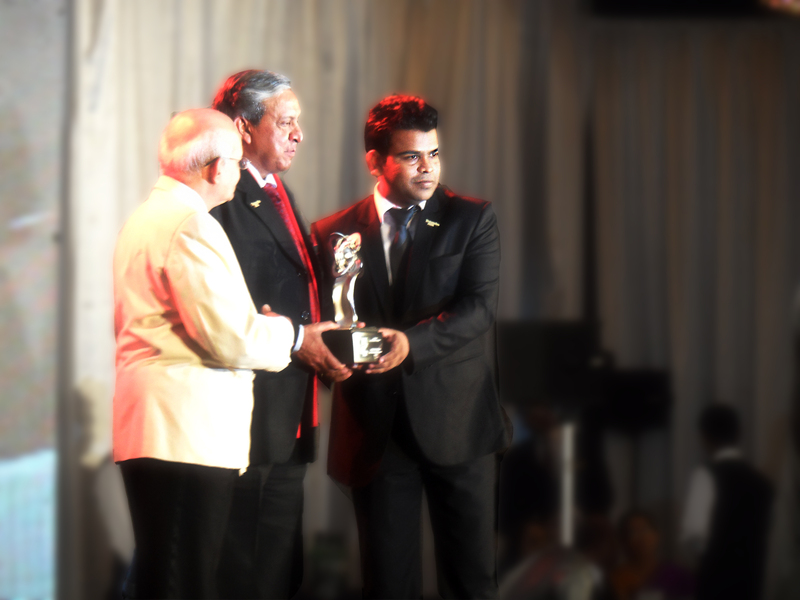 A few weeks back, I received an Award from the Asian Pacific Entrepreneurship. The award was given to me for being the “Emerging Entrepreneur of The Year 2013 “and every Colombo based Sri Lankan daily newspaper had my photo and company name on it. Today, I received a letter from the top management of the same bank; saying that “Hi Sharanyan Sharma , We wish you all the very best for your success and if you need any financial support please contact us we are ready to help beyond our boundaries “. But all I can say now is,” Sorry’ it’s too late “! Because, the project is already executed and launched with a different source of funding. And YES! Still I’m from Vavuniya, the very same uneducated guy and still having the third common reason. What has happened to you now? Why are you guys looking at me? I’m not complaining about the Bank or the Management, I’m trying to say “To run a business or to launch a product, education and ethnicity is not important; you need to have a clear vision and confidence about your concept “ Prepare to die for your concept! I would like to say to this Bank is, “Thank you very much for your wishes, Still I’m living in Vavuniya and I didn’t get my degree yet, most importantly I’m still a Tamil! According to your “Bank policy”, “I am not eligible for your financial support and I’ve decided to NOT to learn more about your offers and I’m also not going to move from Vavuniya and I can’t change my ethnicity. So, the choice is yours. Such behavior is never expected from financial institutes. They should encourage people to come up with new ideas and promote the ideas and not nullify them. Even my staffs also faced such instance from some reputed companies! Well Done and Well Said Mr Sharma… I wish there were more more poeple like you. so that Petty businesses ;ile the bank you mentioned will have place. They reason THEY gave could NOT be “most importantly we proposed unrivaled innovative world class start-up concept.”. That is your explanation NOT their reason. I found this quite confusing. So my friend you are probably a brilliant driven young man, but you may need to polish up your delivery… my humble two cents. Wishing you the best…. this country really needs people like you! Actually “The project concept came from a Vavuniya based company and most importantly we proposed unrivaled innovative world class start-up concept.” that’s why even they are not ready to listen or read our proposal request. because the the second question was ” ah , you guys from vavuniya ? ” . Then we noticed their tone changes inch by inch! Well done and I am really proud of you. Good luck. This post is really true and same with me here too, when I’m starting bankers reject me for same reason of damn policy. But now I’m happily working without there fully support as Orix Marketing http://www.orixmarketing.lk now I’m needed in SEO and Email Marketing services in all relatives businesses. So bro no worries cuz we desire to be unique and we have it on our-self. All The Best…………. Inspiring great stuff. Thanks for telling your story. I am really proud of you young man. You are a real spark. I missed my Golden Opportunity to work to you my Boss!!! Unfortunately this is a reality with the banks, they will fund something stupid but never anything smart. If I am about to ask for a loan they will not give me any but the guy who has a peeve daily job will get a loan in no time. It doesn’t matter how little he earns as long he has a daily job and I am self-employed.